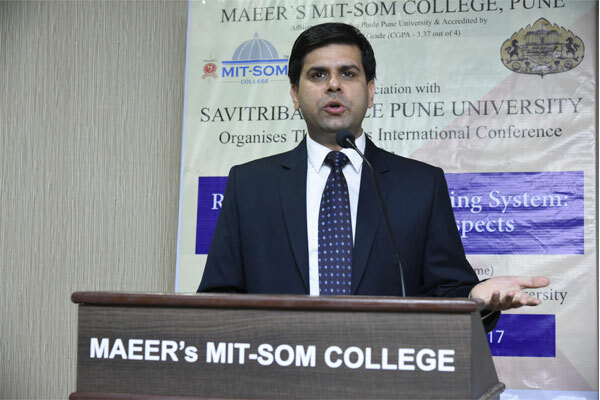 International Conference on “Reforms in Indian Banking Sector: Retrospect and Prospects"
MITSOM College, under Quality Improvement Programme of Savitribai Phule Pune University, had organized three days International Conference on “ Reforms in Indian Banking Sector: Retrospect and Prospects ” on 11th, 12th and 13th January 2017 in Chanakya Auditorium of MITSOM College . The objective of the conference was to understand the major changes experienced by Indian banking Sector and the way forward. 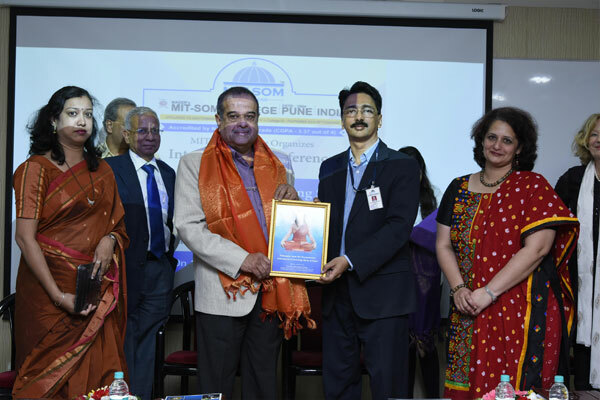 The conference was inaugurated by Dr. Josephina Aelen- Bunders Director, Athena Institute, VU University Amsterdam , Mr. P. D. Potnis, Internal Ombudsman, Bank of Maharashtra, Mr. Sanjay Bhide Compliance Manager with Honeywell International, Dr. Kalyan Swarup NIBM on11th Jan 2016. 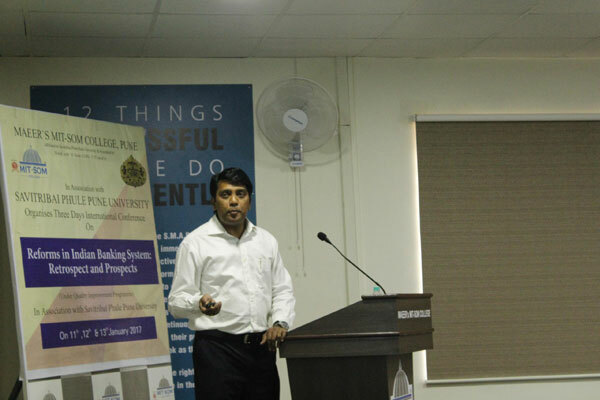 This session was about Indian and Global Banking Sector , role of IT in banking and various strategies for bank marketing. 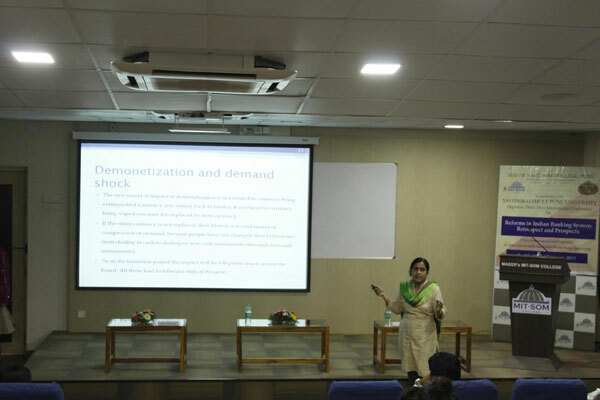 On 12th Jan; Mr. Bhushan Patil, Member, Arthkranti Pratishthan had addressed the gathering on Demonetization and Indian Banking Sector followed by a session on Foreign Exchange Management by Dr. Hemant Abhyankar, Professor, Gokhale Institute of Politics and Economics. 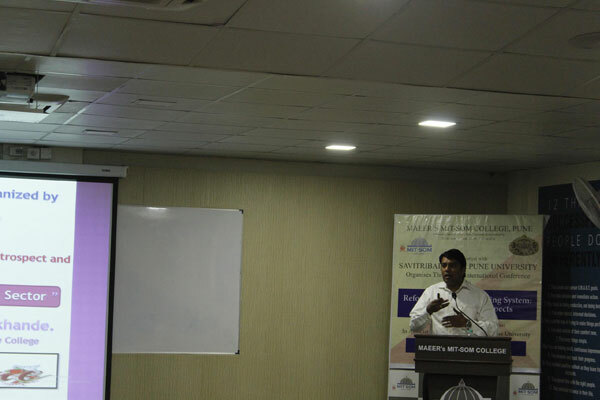 The day concluded with paper presentation by research scholars. 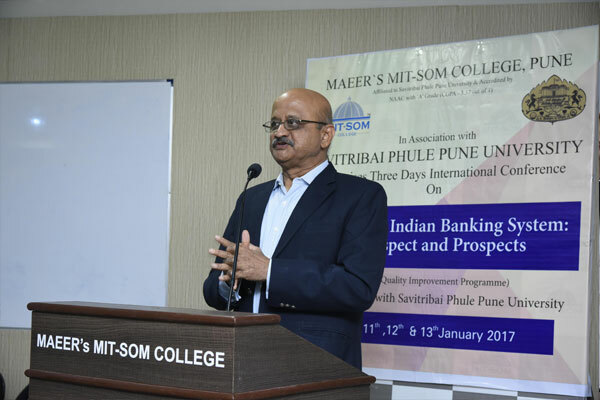 On 13th Jan , Mr. Dilip Patwardhan, Former CFO and General Manager, Bank of India talked about Reforms In Forex. The valedictory session was chaired by Mr. Rupesh Kumar Sharma, Regional Head, EXIM Bank who expressed his views about role of EXIM bank in India’s import and export trades. 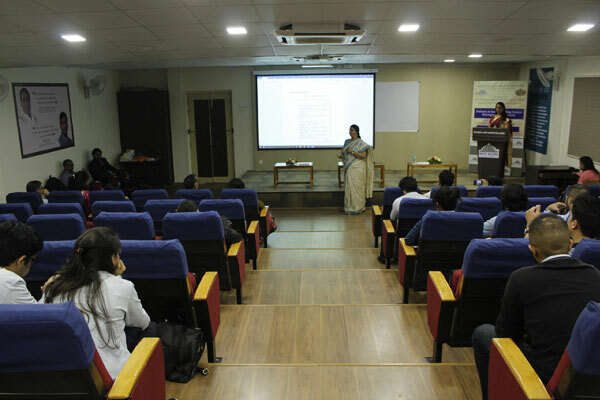 The session was concluded with the vote of thanks by Prof. Sumita Joshi, convener, International Conference.